Bluewater Days was wonderfully fun. 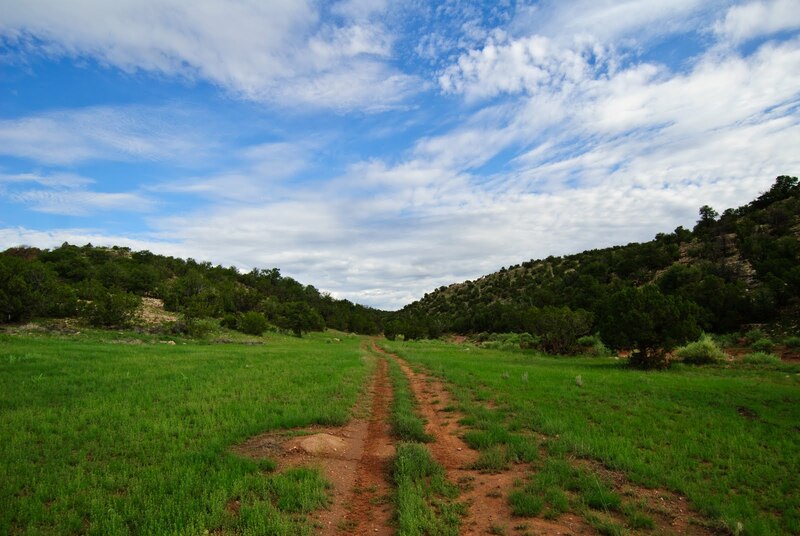 The ranch was especially green this year and it rained every day, which was a much-needed treat for this land in the New Mexico desert. One of the best parts of Bluewater Days is when we build a huge campfire, toast marshmallows for s'mores and sing Western songs accompanied by someone on the guitar. This year my brother-in-law, Jay, learned all our regular campfire songs but in addition to that, he and my sister sang a parody of the old Western song "Cool Water" (sung by the Norman Luboff Choir). Jay and Alice are really talented at re-writing the lyrics to popular songs. Jay is hilarious and Alice is sentimental so the songs are always great - funny but also sweet. This was one of their best yet. Dear . . . Bluewater. Fits it to a "T". I love it! They are so talented and did an awesome job! Sure wish you would have recorded that one and put it on youtube. I would have loved to have seen it!